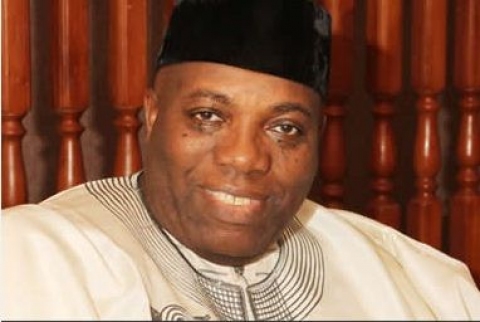 Dr. Doyin Okupe, newly appointed Special Assistant to the President on Public Affairs, has hit the ground running by hard tackles of two well-known critics of the Jonathan administration, namely Pastor Tunde Bakare, General Overseer of The Latter Rain Assembly, and Mallam Nasir el-Rufai, a former Minister of the Federal Capital Territory. Although Okupe insists that he is not an ‘attack dog’ for the administration, his robust upbraiding of Bakare and el-Rufai given its harsh tenor veer precisely in the direction of critics baiting. And what more, the criticisms are set forth in such cutting and biting cadencies that they send implied warnings to aspiring critics that they are in for the rough side of Okupe’s tongue. The prospects of success however measured for Okupe in his hard sell job of rebranding the Jonathan Presidency are dependent not on the resonance and pitch of his attacks on the government’s critics but perhaps more on two factors that are beyond his purview. There is, first, the issue of raw disconnect between image making and reality checks to the extent that unless a modicum of progress is recorded on governance indices, most of which are currently caught in a downward spiral, presidential rebranding will be no more than a nice but vacuous slogan. In other words, for as long as the current siege on the nation by insurgents, urban and semi-urban bandits persists with only feeble response by law enforcement institutions, and so long as unemployment figures continue to soar wildly and corruption evocatively described by renown poet ,Niyi Osundare, as Nigeria’s number one industry, flourishes and social services remain disheveled, Okupe’s job of putting a new gloss on an underperforming government will remain a most daunting one. True and as Prof. Manuel Castells insightfully observes, the link between power and image making has become overwhelming in the information age such that the media in all their variegated forms are fast replacing traditional political institutions in the accumulation and retention of power. Nonetheless, credibility deficits are bound to arise when image projection runs against the tide of observable evidence and proven dereliction. To return to Okupe and the subjects of his scathing denunciations, the public is bound to weigh whether the persistent criticisms of Bakare and el-Rufai have basis in observable evidence or whether they are merely contrived or sensationalised to damage the administration. In this respect, by zeroing in on what Okupe calls the flawed character of these critics, the new presidential spokesman is guilty of what my colleagues in a class on logic would call adhominem argumentation, which is an attempt to establish the truth or falsity of a claim by reference to the character of its advocate. This is another way of saying that what matters more is the substance of the criticisms made of the administration and not the character of those leading the charges. Contextually, Nigerians are lamenting the crisis of aborted visions, the failure of political imagination among a recycled rentier ruling class as well as the annulment of the social contract under which the government was expected to justify its existence and minimally provide basic services for its citizens on whose behalf it holds power in trust. One does not need to look further in search of evidence to buttress this assertion than the recently published report of the Auditor-General of the Federation on the monumental scale of pillage and theft which prevail at the Nigerian National Petroleum Corporation. The document is a stunning narrative and a Pandora’s Box in which millions of dollars were misappropriated, for instance, under the omnibus cover of security votes as well as the appropriation of huge amounts for projects which remain very much in the pipelines. To put that in perspective, consider the vitality and staggering financial war chests of state-owned oil companies in other oil producing countries such as Saudi Arabia, Venezuela, Norway amongst others many of which have visible appearances on the New York Stock Exchange and have played notable roles in the modernisation of their country’s economies. And so here we have a bottomless pit into which ever rising amount of monies disappear while in those other countries we witness creative purpose which serves and advances their citizens. To be sure, some of these problems predate the Jonathan administration and would in all probability outlive it if the current tempo of governance is anything to go by. The source of national frustration and disappointment, if this writer gauges the national mood correctly, is the rising cost of both previous and current failures and the violent lack of it between expectations of a transformative intervention unleashed by presidential rhetoric and the persisting lack of progress, if not arrested development, on several fronts. That is another way of saying that Nigerians were led to expect a big impact president who would initiate crucial reforms that would turn around a nation stranded by years of cruel misgovernance. Indeed, the proclamation of a “Transformation Agenda” leads one to expect a break with our dishonourable past; in reality however, it is doubtful even if Okupe would venture so far as to say that any such seminal departures have occurred or are about to occur under the current administration.